According to Software Engineering, a design specifies the structure of how a software system will be written and function, without actually writing the complete implementation. It is a transition from “what” the system must do, to “how” the system will do it. The use case model describes the requirements of the user. The class model captures the static structure. 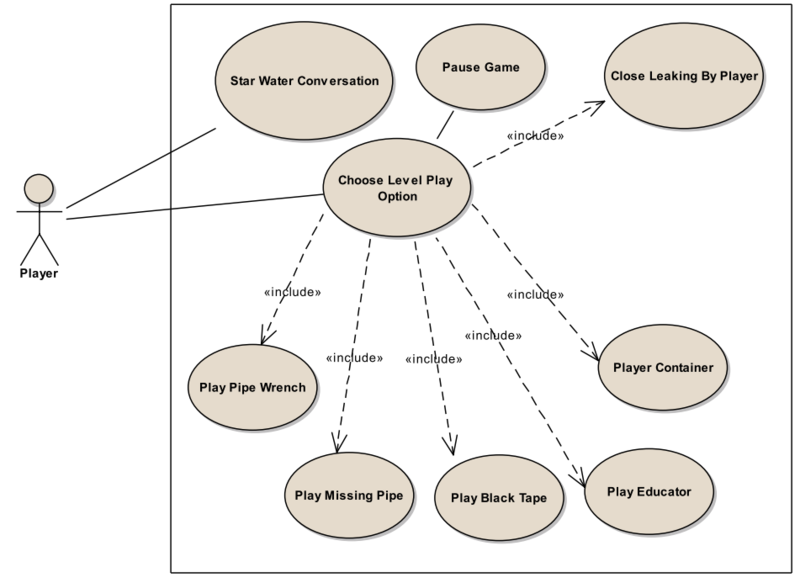 The interaction model represents the scenarios and messages flows. It contains fairly complete description of all activities that occur in response to a trigger event. The basic information of a Use Case consists of a name, a sequence number and description. It specified from the project specifications and requirements. Nouns are potential classes, objects and attributes, while verbs are potential methods or responsibilities of a class. What classes will be needed to implement a system that meets project requirements? What attributes and methods will be needed for each class? How will the classes interact with each other? It is used to describe some type of interactions among the different elements in the model. 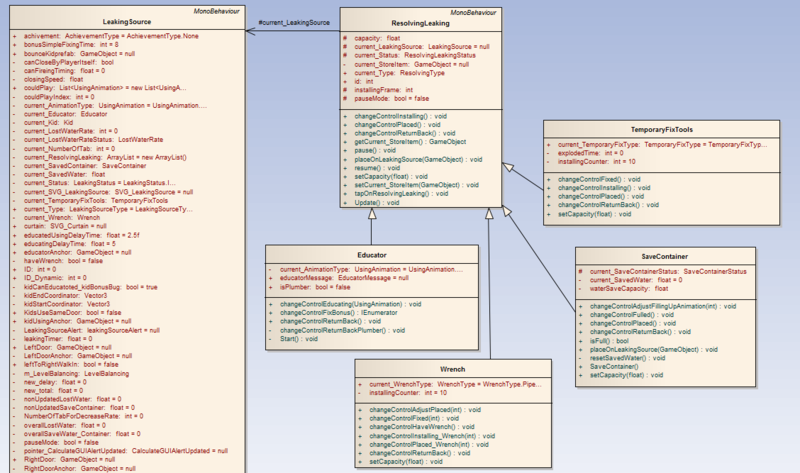 This interactive behavior is represented in UML by two diagrams known as Sequence diagram and Collaboration diagram. The basic purposes of both the diagrams are similar. A sequence diagram models the collaboration of classes based on a time sequence. It shows how the classes interact with others in a particular scenario of a use case. On the following, I am going to explain briefly a case study of how to design on object-oriented way for an iPhone game. The game starts with a simple one-touch mechanism, which guides the user on different ways to save water with each level and the user is rewarded if he does well. The first installation of the game spreads across 30 levels and 9 backdrops. As the user progresses to the other levels, more game mechanisms and game items will be included to make the game more challenging and interesting. All the game interfaces and functions are based on one touch mechanism. 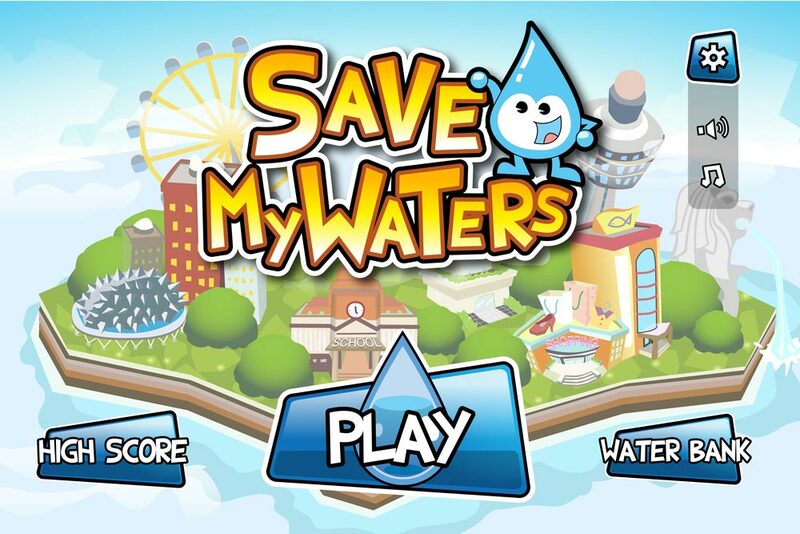 The player’s objective is to save as much water as they can in each level. The player will be rewarded with credits based on the amount of water they save in each level. The credits can be used to purchase or upgrade items to be used in the subsequent level. One Inconsiderate kids turn on the water taps and leave them running. Player taps on the water source to turn off the tap to prevent water wastage. Two Item: Container to hold water temporarily. Player gains credits when they win a level. These credits can be used to buy items to help them in their quest. A container can be used to hold the water leaks. Once the container is full, the water will be returned as saved water. Three Condition: Severity of water wastage. Some water sources lose water more rapidly than others. The rate of water loss is indicated by red, yellow, or green. The player has to prioritize to save more water. Four Item: ‘Educator’ that teaches the kids not to waste water The player can drag ‘Educator’ items to educate the kids. 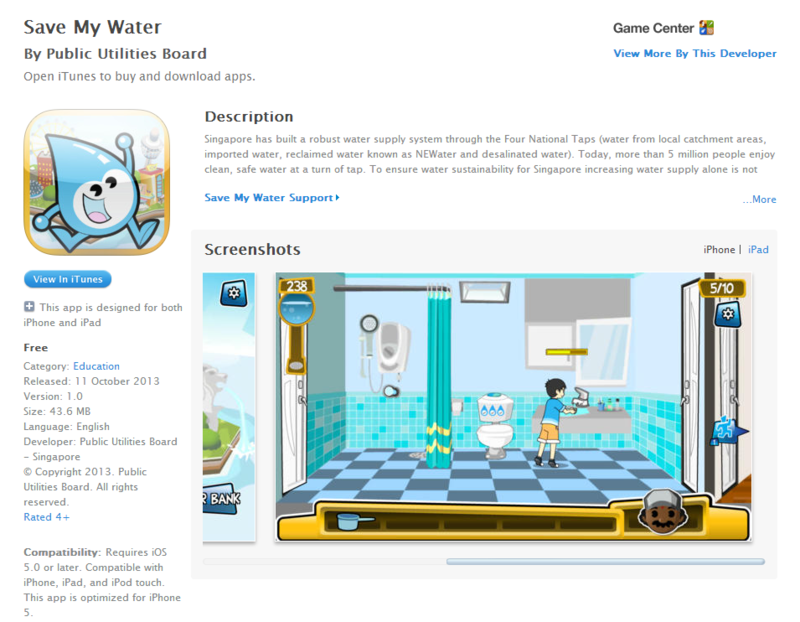 The player can catch the kids and educate them to turn off the tap before they waste the water. Item: Black tape As the player progresses to the next levels, the challenge increases with the introduction of leakages on top of the running tap. The users have to fix the leaks temporarily using the item black tape, which they need to exchange with the credits earned by leveling up. Six Condition : Missing Tap In the levels, we will introduce missing taps. The player has to find the tap and install it quickly to prevent a large amount of wasted water. Seven Item : Pipe Wrench In the levels, we will introduce Pipe Wrench. The player can use Pipe Wrench to fix leakages permanently rather than temporarily. Eight Condition : reuse rain water. In the levels, we will introduce periodic rain. During the rain, the player can put their container outdoors to collect rainwater. The rainwater can be used in specific areas (i.e. Flush toilet, wash floor, water plant. Etc) The rainwater collected contributes to their water saved. The Player must have the ability to quit the game at any time. The Player must have the ability to pause the game at any time. The game must be able to display the rules of the game to the Player. Guide and Tutorial should be provided for the Player. The game must provide a push notification to attract dormant player to come back to the game. The Player rate of each level at the end of each level is shown to the player. AI is added to make each level more attractive and each time player plays a level the sequence of the events will be different from previous ones. The system should be developed for iPhone and iPad application. Any interaction between the user and the system should not exceed more than 7 seconds. The game must start up less that 90sec. No personal information is stored by the system; hence, no specific security requirements need to be defined. The next step is to define the use case at a low level of detail by writing Use Case Scenario. A Use Case Scenario exposes step by step of how a user is intending to use a system, essentially capturing the system behaviour from the user’s point of view. What characteristics are important to keep track of? What data must be remembered during object’s life? What actions must the class be able to perform? What actions can be done to the object (e.g., to change the attribute of the object)? What input does a method need from caller? Does the method generate a result value? The return type must match the data type of data to be returned.